Anyone worth their salt should be as excited about the statue of RoboCop being built in Detroit as I is am. More than enough money has been raised and after negotiations cheap NFL jerseys with the city go through, Personnaliser we have our new reason to visit Detroit. 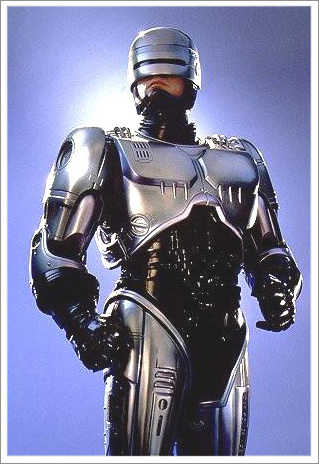 According to the good folks Facts at io9, the look of the RoboCop statue is slated to look something like You this pose. This holds back any ideas of him pointing his gun out at people like I’ve imagined, but this has not ruled out my cheap jerseys theory that this statue will be three stories high. More about this glorious piece of art can wholesale MLB jerseys be Rodriguez found at detroitneedsrobocop.com. This entry was posted on Tuesday, February 22nd, 2011 at 3:34 am and is filed under robocop statue. You can follow any responses to this entry through the RSS 2.0 feed. You can leave a response, or trackback from your own site.